Best value Bondi Beach apartment! Beautiful fully furnished and self contained 2-rooms apartment. Built-in fully equipped kitchenette and a stylish full bathroom with a bathtub and a shower. Separate entrance, nice furniture, polished floors, washer/dryer, TV, CD and DVD, a double cookplate, electric grill, microwave, fridge, bed linen, crockery, cutlery, towels, secure parking & phone. Rent is from AUS$110 per night all inclusive: internet, phone, bed linen and off street parking. There is one off $100 cleaning fee. Over Christmas/New Year period minimum stay is one week. Our house is only 1.5 km from Sydney's famous Bondi Beach; 5 minutes walk from a bus stop; 5 km from the city centre: Darling Harbor, Rocks, Opera House and ferry to Manly, Taronga Zoo and Northern Beaches. 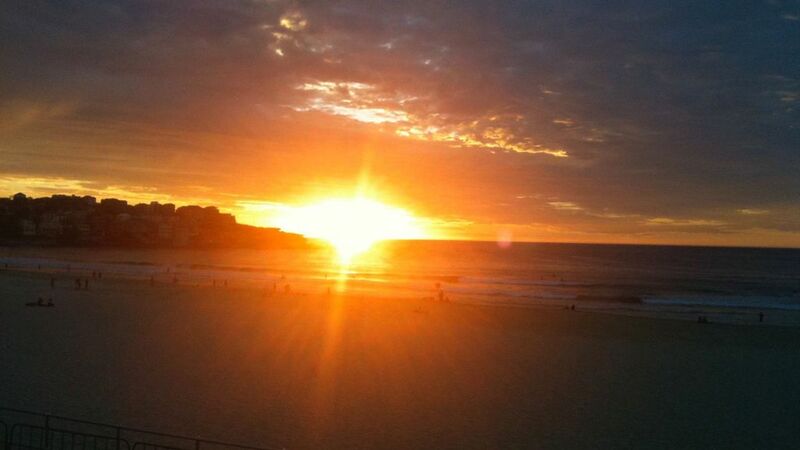 Bondi is the heart of Sydney's eastern suburbs that feature stunning seaside scenery and most expensive real estate. It is also a very relaxed and cosmopolitan area of Sydney. Beachside restaurants and cafes, shopping and surfing, you can have it all, only 5 km from Sydney city. Our house is on the hill, on a green and quiet street, short stroll to the fabulous Bondi Beach. Friendly village atmosphere, great neighborhood and close proximity to the city makes it a very desirable location. 15 minutes bus trip to Bondi Junction train station and a further 10 min. by train to the Central Station; a gateway to the stunning Blue Mountains, Central Coast and South Coast. There are also parks, beach walks and the best of Sydney's restaurants and a shopping nearby. The accommodation was perfect for our needs; clean and well presented with facilities just right for our stay. The location is good; 20 minute walk to the beautiful Bondi beach, 5 minute walk to nearest bus stop for public transport into the city (approx 40 minutes on the bus). A 30 minute walk from the lovely Rose Bay where you can catch a ferry direct to the city whilst taking in the view of Sydney Harbour. Perfect communication with the host. We thoroughly enjoyed our stay in this cozy accomadation. It was perfectly located for our holiday. The McRaes are a lovely couple and were very helpful with tips for local excursions and sites to see, for 1st time tourists. There is convenient access to the efficient and dependable bus and train system. We had a rental car, but rarely used it. Beautiful Bondi Beach is within walking distance and the house is located in a quiet neighborhood at the top of a hill. The apartment has frosted windows throughout, which allow for plenty of light during the day, but it is dimly lit when th sun goes down. The internet signal was spotty at times but, overall, good. All of the nice amenities, and comfortable bed, made for a thoroughly enjoyable stay. Would we stay there again? Absolutely!! Very comfotable apartment and welcoming hosts. Good location with easy transport to the city. Thoroughly enjoyed our stay. The property was well located for me. Sydney was freezing so needed another heater. The dryer hasn't been reversed so controls are too high for me as were some dishes and the keys. There was no parking available overnight. However everything worked and I'd recommend the apartment. Off street parking is available in front on the house. The guest has booked a returned stay. The apartment ticked all boxes, had everything we needed. Julia was a great communicator and advisor. We stayed 6 nights and could not have been happier with the facilities and location handy to ferries. Thank you, Jayne and Steve for being great guests! We loved staying here, Julia is a fantastic host, so very kind and helpful. Location is great, not far to bus which takes you to Bondi Junction where you can either go shopping in the amazing Bondi centre, or jump on a bus or train and go to the city. Overall, very happy and we will definitely stay there again.